you shouldn't be allowed to re-nom the same movie. WTF? Tree of Life was a pretty miraculous experience. Drive was a more enjoyable film. Nice! 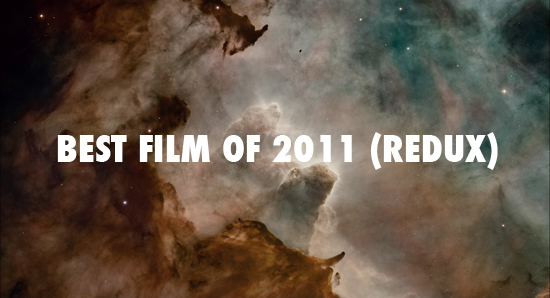 Not only is this the best of the bunch, I was scared Melancholia could take it. of course it should be allowed, the whole point is to see if it holds up... and on that note I'm disappointed in the results.